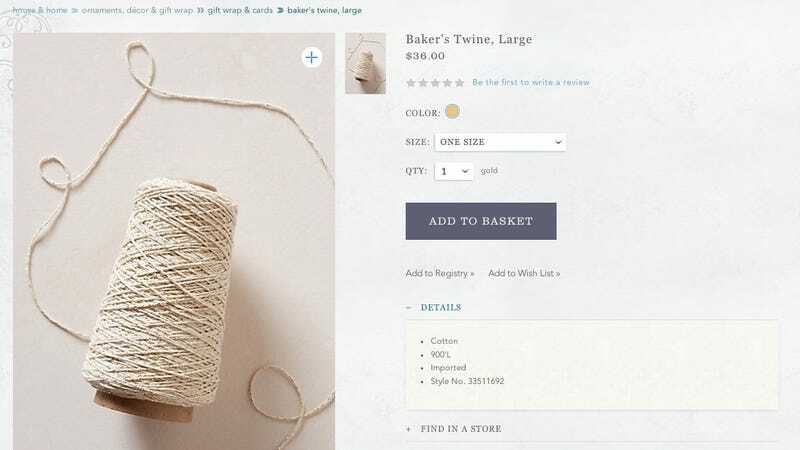 As you're planning where to purchase the necessary components to gift wrap all your holiday presents, consider Anthropologie, a store where you can buy some practical and well-priced items, like a "large" spool of Baker's Twine for $36. Looks like a previously sold version of this twine was quite popular, though the reviews are not in on this stunning beige decorative rope. For those on a budget, we recommend this $3.95 version of something called "butcher's string," which looks like basically the same thing.